NDO/VNA – Vietnam will be Country of Honour at the 2016 China –ASEAN Expo (CAEXPO), Secretary General of the CAEXPO Secretariat Wang Lei announced on September 21. Addressing a press conference in Nanning city, the Chinese province of Guangxi where the CAEXPO 2015 was recently held, Wang said the decision was reached during the 12th CAEXPO senior officials’ meeting on September 20. The Country of Honour mechanism was first introduced at the CAEXPO 2007. It is rotated among ten ASEAN member countries – Brunei, Cambodia, Indonesia, Laos, Malaysia, Myanmar, the Philippines, Singapore, Thailand and Vietnam. This year, Thailand was named as the Country of Honour. According to Wang, the CAEXPO 2015 attracted 85 groups of investors and buying mission, up 5% last year. 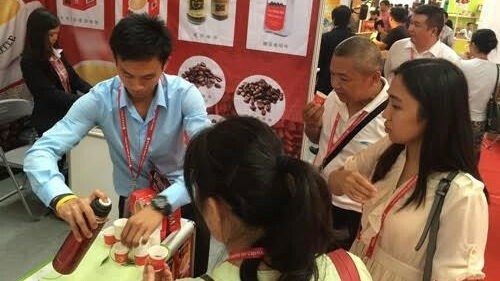 Popular products such as rice, coffee, wooden furniture and handicrafts, as well as China’s packaging and food processing equipment and electronics and electrical appliances grabbed the attention of buyers. Many deals were signed, including a memorandum of understanding between the Bank of China’s Bangkok branch and the China-ASEAN Investment Co-operation Fund, and 34 projects involving machinery production, automobile spare parts and construction materials. Fringe events include 27 thematic seminars and forums featuring China – ASEAN co-operation across investment, e-commerce, electronics, pharmaceuticals, mining, finance and tourism, together with 84 trade promotion and investment programmes. Initiated by China, the first CAEXPO was held in Nanning in 2014 in order to promote a free trade zone between the two sides. The event has since become an annual platform for thousands of Chinese and ASEAN businesses. By nhandan.com.vnThe post Vietnam to be Country of Honour at CAEXPO 2016 appeared first on Asean Investment | Marc Djandji Blog. NDO/VNA – Vietnam will be Country of Honour at the 2016 China –ASEAN Expo (CAEXPO), Secretary General of the CAEXPO Secretariat Wang Lei announced on September 21. Addressing a press conference in Nanning city, the Chinese province of Guangxi where the CAEXPO 2015 was recently held, Wang said the decision was reached during the 12th CAEXPO senior officials’ meeting on September 20. The Country of Honour mechanism was first introduced at the CAEXPO 2007. It is rotated among ten ASEAN member countries – Brunei, Cambodia, Indonesia, Laos, Malaysia, Myanmar, the Philippines, Singapore, Thailand and Vietnam. This year, Thailand was named as the Country of Honour. According to Wang, the CAEXPO 2015 attracted 85 groups of investors and buying mission, up 5% last year. Popular products such as rice, coffee, wooden furniture and handicrafts, as well as China’s packaging and food processing equipment and electronics and electrical appliances grabbed the attention of buyers. Many deals were signed, including a memorandum of understanding between the Bank of China’s Bangkok branch and the China-ASEAN Investment Co-operation Fund, and 34 projects involving machinery production, automobile spare parts and construction materials. Fringe events include 27 thematic seminars and forums featuring China – ASEAN co-operation across investment, e-commerce, electronics, pharmaceuticals, mining, finance and tourism, together with 84 trade promotion and investment programmes. Initiated by China, the first CAEXPO was held in Nanning in 2014 in order to promote a free trade zone between the two sides. The event has since become an annual platform for thousands of Chinese and ASEAN businesses. The post Vietnam to be Country of Honour at CAEXPO 2016 appeared first on Asean Investment | Marc Djandji Blog.